Heather has retired from the practice of law. We wish Heather the best as she transitions from the practice of law to her new teaching career. Heather L. Carter is a native of Great Britain, and grew up in north Florida. She attended the Florida State University College of Law, where she was an officer of the Moot Court Team, as well as a member of the Order of Barristers and Phi Delta Phi legal honor fraternity. Heather graduated with honors in 2005, and was admitted to practice law in Florida later that year. After beginning her legal practice as a felony prosecutor and judicial clerk in Orlando, Florida, Heather moved with her family to Issaquah, and was admitted to the Washington State Bar Association in 2010. Heather has been practicing family law, civil litigation and criminal defense in eastside Seattle since 2011, and joined O’Brien, Barton & Hopkins as an attorney in 2015. Heather is passionate about child advocacy and access to justice issues. She devotes a significant amount of her practice to public defense and moderate means practice, and is a founding member of the Washington State Bar Association’s Low Bono section. 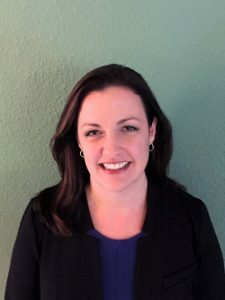 Heather is also Vice President of the Board of Directors for the Children’s Law Center of Washington, a non-profit legal clinic in Redmond which provides permanency for orphaned and vulnerable children. A Kirkland resident, Heather enjoys spending time with her son and daughter, serving in the music ministry at Overlake Christian Church, and dancing with Kizomba Seattle. She is also an avid cheerleader at her kids’ sports events and volunteers as the choir accompanist at her children’s schools. Heather is committed to providing her clients with affordable, compassionate representation while advocating tirelessly on their behalf. She focuses her practice on criminal defense and family law. Her family law practice includes adoption and third party custody, dissolutions, parenting plan / child support modifications and pre-nuptial agreements. Areas of concentration in the criminal defense sector include assault, reckless driving, DUI / physical control, theft, driving while license suspended, no contact / protection order violations, and a variety of other charges.